Blissett, Luther. Q. Boston: Mariner Books, 2005 (reprint edition). Paperback, 768 pages, $39.95. Most people think about the Protestant Reformation about as frequently as they think about sitting down to do their taxes, if not even less. But a contentious medieval Europe is the backdrop for one of the best pieces of historical fiction that Wobblies should really pay attention to. “Q,” the novel by a collective of radical Italians who used to publish under the name Luther Blissett and now go by Wu Ming, is a great adventure story that also packs a political wallop. 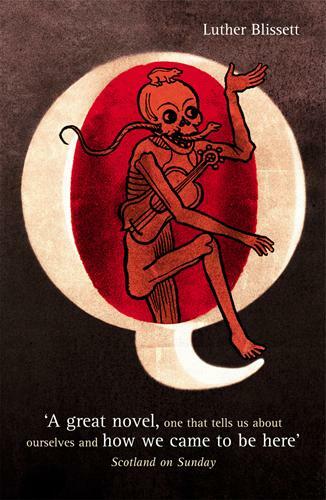 The sequel to “Q” has just been translated from the Italian to English and been released, so it is worth revisiting the original novel, published in 2000, to remember why exciting works of fiction like “Q” should be a priority for Wobblies to check out. The book centers around two characters and is structured like a spy novel. The protagonist, who goes by various names throughout the book, is known most frequently as Gert-From-The-Well. He is a German who bounces around various revolutionary groups during the explosion of social conflict that takes place during the Reformation. He follows the flags of peasant rebels, communistic Christian booksellers and preachers, cruel messianic zealots, pacifist communitarians and persecuted Jewish liberals, as their fortunes rise and fall, ever in the quest to be free of the influences of the powerful and authoritarian Catholic Church, the kings and lords of Europe, and the increasingly out-of-touch “official” Protestant leadership. Gert deals with the inevitable crushing of movements for popular power by changing his name and moving on to a new struggle, a man weighed down by the fact that while his comrades often die, he lives on to fight another day. His antagonist is the shadow known as Q, a papal operative who blends in with the crowds of workers and peasants throughout Europe, seeking information on heresies and finding a way into the good graces of radical movements in order to subvert them. Q, less a zealot than a cynical manipulator, finds a way to put himself on the sidelines of multiple popular struggles, using his influence and instincts to tear at the unity of those who would be free of the Catholic Church’s power. He and Gert’s paths consistently cross, though their significance to each other remains concealed for most of their respective journeys. While “Q” is an exciting story of intrigue, back-stabbing and straight up swash-buckling, what makes it most interesting for Wobblies to check out is that its center is on ethics and that it’s a story of anti-capitalism. Outside of a few science fiction writers, most fiction treats radicals as a stand-in for something else. Radicals are often signifiers, ciphers, of viewpoints that the author seeks to abstract. Radicals, rebels, anti-capitalists, and others are introduced to talk about the author’s ideas about intransigence, morality, discipline, freedom, personal virtue or a host of other ideas. What makes “Q” different is that the authors are themselves veterans of the Italian extra-parliamentary left, and they write the novel to talk about the ideas of anticapitalist struggle itself. In “Q,” radicals are real people, with complicated and contradictory ideas, with lives and thoughts of their own, but still with a firm dedication to their cause of liberty from the dominant repressive order. They are not archetypes but characters. Instead of communism being a signifier for something else, it is the content of the plot itself. Gert’s adventures through various revolutionary activities show the highs and lows, exuberance, excitement and excess, of people who spend their lives trying to live without bishops, popes and kings. It’s hard not to identify with the plight of the common people organizing themselves for liberation who appear throughout the novel, not as stereotypes of the hammer-and-sicklewielding proletarians and peasants of socialist realism, or misguided bohemians and shady bureaucrats of most Western literature, but as the regular types of people you run into at the bar or the grocery store, who have just had enough of the oppression of the bosses and cops. Based on the actual history of various uprisings and scandals in Europe in the 16th century, “Q” delivers a heart-pounding story of revolt and repression. While the novel has its flaws, particularly in the relative weakness of its female characters (something recognized by its authors, who have promised that the sequel, “Altai,” will deal with better), “Q” is a first-rate adventure novel that highlights a reasonably obscure piece of the people’s history of Europe and imbues it with the fire of revolution. In a moment when everything from the papacy, to the divine right of kings, to the idea of God itself was up for debate, “Q” tells an engaging story of everyday workers and peasants demanding a kingdom of heaven on Earth and willing to go as far as needed to make it happen. Yeah, this really is a great book, one of the maddest things for me was how much research seems to have gone into it and the attention to historical detail.. basically everyone in the book (apart from the main character) actually existed.. not to mention how much bad press it got from some literary quarters (like this prick from the Washington Post).. I'd highly recommend it, it's one of my favourites and can be downloaded here on the Wu Ming website for free.. While this book is easily one of the best english-language texts on this era of revolt, it sadly contains a lot of misogyny. Some have argued that the book uses the peasant revolts of the Reformation to tell the story of Italy in the 1970s–which the authors lived through–and that the book accurately reflects the misogyny of that time. While sexism was certainly a part of both periods (historically, the Muenster revolt collapsed because of the treatment of women insurgents), at times the misogyny of Q reads more like the fantasy of the male authors than a critique of it.